A massive costly lie exposed. One forced on citizens that gained no democratic vote say on. Fine Gael again Dail rammed through its own quiet agenda, leaving the public paying yet again. Comment: French Elected Macron - 'EU at risk of civil war'. LINK - 17th April, 2020. Notice: Wikipedia, which allows itself to be edited by nearly anyone, says that UnitedPeople does not provide any sources for anything it says on this page. Judge for yourself as to how much you can trust Wikipedia and anonymous fools posting though online forums - ones also too lazy to independently use a search engine for separate confirmation on items below! ...Or maybe they don't want you to independently check either? The title of this section might give the impression that Ireland still maintains a neutral position in all things military regarding other countries, some of whome are dragging themselves towards wars elsewhere. If Ireland was truly neutral it wouldn’t be joining any side when such events occur - or as it is now, planning to side with those waring states and even lending them some of our defence personnel for training and teaching purposes. There is more USA military craft landing daily at Shannon Airport than every before. You are not supposed to know about the hundreds of thousands US soldiers that churns through Shannon airport monthly. You are not supposed to know about the smuggling of “Renditioned” (kidnapped without a court legal process from the country they were snatched from) people through Shannon Airport. You are certainly not to know that these renditioned (kidnapped) people are then transported via Shannon Airport to European “Black sites” (including in Germany) where the US secret agencies use the torture methods (the White House spins the torture as “Advance Interrogation”. Isn’t that nice!) their own country legally doesn’t allow on their home soil. You are not supposed to know about the many weapons on US military planes that state officials coincidentally don’t inspect. You are not supposed to know that many of the soldiers churning through Shannon are carrying weapons themselves – on Irish soil. …And there was you thinking the only state people legal allowed to carry weapons in Ireland, was the Irish Army and Garda? You are not supposed to note the possible breaking of international laws there – never mind also Irish ones. You are certainly not to know that the state is willing working with GCHQ and other UK secret state bodies – or that they also allow Irish communication cables under Irish sea water to be physical tapped into so that other countries that we have no military pact with, can still go ahead with Fine Gael/Fianna Fail/Labour knowledge, to listen into, grab economic and other personal data information (email, calls, etc) – and then use it all to its own personal ends. You are not to widespread know about the agreed use of Irish Rangers for operations outside of Irish soil, not for the advantage of Ireland but so that other countries can gain instead. Your permission for this too, like many things Fine Gael is private agenda doing, will not be sought. No. The above and much more is not the reason that Fine Gael says Ireland is vulnerable. They say Ireland is vunerable because there are American private businesses operating in Ireland (like nearly every other country in the world). Fine Gael incredible says Ireland is vulnerable also because there are data storage facilities in the country – and that’s why we must additionally throw away what little is left of our once neutrality we supposedly had. Instead now, Ireland further gives away its national soul to the devils of war and their weapons. Four Horsemen Of A Neutral Apocalypse. Four Fine Gael MEPs, led by former minister Brian Hayes, published a policy paper which challenged Ireland prior stance on defence and security. "The landmark document will call for greater cooperation between Ireland and the rest of the EU on military spending and operations in face of growing threats from Russia, international terrorist groups and cyber crime." (c) UN authorisation must be sought. However, as the wise will already know, this lock has already been illegal broken by Fine Gael. They have illegal sent Irish troops to places such as Chad or Mali without going through the proper legal procedures. As the more wise will also know, it’s not the first time Fine Gael is breaking Irish and International laws – VRT illegal tax, illegal stealing money through JobPath (they admitted this in Dublin Highcourt) and still doing it, finding people “guilty” and punishing them before a formal inquiry or investigation ("innocent before guilty" as a legal standard, thrown out sneakily), breaking EU anti-monopoly and competition laws by setting up “Irish Water” …And much, much more. So it is that Fine Gael says that everyone else must obey national and international laws – except for themselves. If you think that’s an exaggeration, you should see many specific details in the oncoming “Irish Data Protection Act 2018” that intends to take further advantage of the public (LINK). It quietly also says they can get away from being held to account for law breaking. What? They or RTE haven't mentioned any of this either? Nothing new there, sadly. Representatives of a Fine Gael long term agenda, will PR spin that are they seeking to explain to an Irish audience, what they are currently up to on behalf of the Fine Gael party. What they won’t expand upon is how if people object, they can do so in any way shape or legal form, effectively. In other words, there will be bugger all debate, bugger all explanations – and under no circumstances (like many other things Fine Gael has done previously and is doing right now) will the public get any chance whiff, to have a democratic vote on such matters. Fine Gael and those willing to prop them up, won't allow you that democratic right at all. Did you really think you would be let vote on such an important matter? Seriously? With EU heads looking towards Ireland and having long chatted with representatives of Fine Gael and other parties also willing to follow a EU agenda, whatever is small left of Ireland’s neutrality, has been quiet washed away while the people of Ireland were deliberately kept in the dark most of the time. The current (April 2018) drivers of destruction at home - Fine Gael – taking everyone towards a greater chance of being involved in a forth coming conflict, as main personnel front-line join in or quiet background assist (such as the Irish Rangers). Much of this continues to go unreported by RTE news outlets, Denis O’Brien media spread right across Ireland or other media that Mr O’Brien has additional backdoor influence on. Irish Neutrality - A Now Myth. If there is any assurance on Ireland once famed neutrality, is now just PR by agenda based politicians, the loss of Ireland's once existing status, can be confirmed just by looking at a EU statement submission recently to it. The submission read "Ireland supports the development of a strong and competitive defence, technological and industrial base, EDTIB (The European Defence Technology & Industrial Base)." What's all the above? Its only Ireland now open supporting the EU version of the American arms business. With further news of the new EU army formation coming soon after the Brexit referendum (deliberate held back till it over), any deluded elected spouting that Ireland is still a European neutral country in the world, is one politician that needs their glasses cleaned or blinkers removed! Add to the political pot that Ireland is reported, upping its military spending, Irish neutrality will only more exist in the future within history books if our current elected continue on their already quiet path. ...Again, the public is not supposed to know all the above or join the dots to what it all means. Ireland And Its Military Position In The EU? Now that the EU is progressing to with another extra army structure in the world, it means another entrant into the arms race. With people in it that are not citizen democratic elected – thus less accountable as the public cannot un-elect them for any mistakes or bad decisions – they have more of a carte-blanche to do as they see fit, spend as they see it (with public money) and carry on regardless? Now there’s a few points to ponder over? Ireland being part of the EU, any final vestiges of a once neutral Ireland status, can be thrown out any window of an EU office? Ireland's neutrality has been slowly, quietly chipped away? Only fools would espouse that Ireland is still as neutral as the day the state was created? The above questions arise as its further looked at the direction Ireland is heading to? Ireland, care of the EU, is being told to spend more of its money buying military equipment including seafaring articles of war. All this while EU chiefs deliberately delayed revealing further details about proposals for a new £1trillion budget, for the next seven years to the army that Juncker wanted. Budget plans were put off till autumn 2016 so not to fuel British Eurosceptic arguments their referendum. An attempt at censorship that failed as (a) news got out anyway and (b) the Brexit side won by a two million vote surplus. On June 12th, 2016 one Dutch brigade, the 11th Airmobile, official joined the German army. The Dutch army is made up of three brigades, plus support staff and Special Forces so they are relinquishing control of one third approximately of their military services to another state. 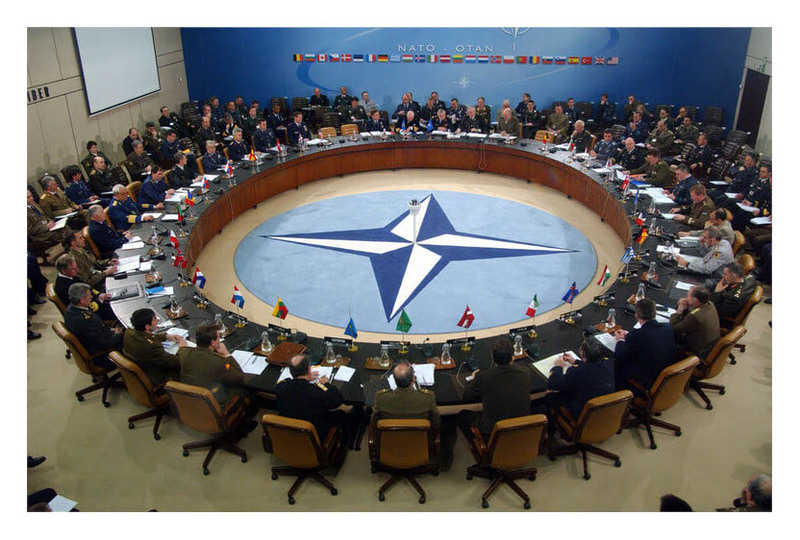 People have asked “What about NATO?” NATO is a relic for the Cold War era. It was a treaty organised so that countries could call on others to quickly later, after some incident to justify coming together, then combine their forces on a European battlefield. NATO is now looked at by many as out of date and might not be quick enough to come to a ‘rescue’. The fact that NATO is three quarters funded by the United States of America is also a factor. The new EU army will be a pre-existing force, already operating before any war-like incident. One already combined and ready to go. The title of the Die Welt June article could say a lot beyond its seven words; “Germany is driving the European Army Project”. With Juncker pushing it massively forward since he came to EU office, there’s apparently no stopping it now? It appears so. As regards the Dutch contribution, Germany is pursuing a second brigade from them alone. The German Army’s Chief of Staff, Lt. Gen. Bruno Kasdorf, wrote a letter outlining plans for future cooperation. Kasdorf has added that Germany wants to employ the Dutch model in cooperation with other nations. While other countries are joining up with Germany, sacrificing their military and elements of control over their own men and women, it’s vital to take note of one significant legal factor. Germany’s constitution, and its subsequent interpretation by the Constitutional Court, ensures that the German parliament must remain in ultimate control of its own German Army. How this will further play out, affecting overall matters, remains to be seen! So far decision makers in the German defence ministry have given no indication that they would likewise, be willing to transfer over portions of the German Army to other nations. Once again Germany is on the road to being an even bigger major power in the world – all with the help of its neighbours! As far back as 2004 concerns were expressed in UK media over the forthcoming plans for an EU army while stating in print that “US officials have worries about the EU force” (Article: Blair told plan for EU army may hit relations with US – The Scotsman, 11/011/04). It appears that the military direction of the EU has been a long time coming and an elite in the American intelligence community have known about such plans for a long time – far more than the public in Europe, that the army is supposed to be serving. Certainly if this is the case, it again shows a lack of transparency and honesty with the EU people for over ten years on this matter alone. 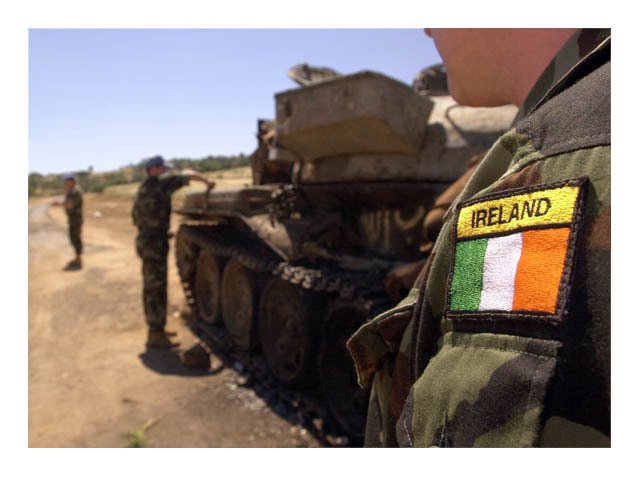 When it comes to the actual use of an EU army, would Ireland try and opt out? It remains to be seen. Currently the Irish army participates in other Europe military exercises besides working alongside other nations armies outside of Ireland. A surprising attempt to opt out from battles would come more of a shock to many other EU leaders, than only to be expected? Should Ireland opt in or opt out of the new EU army, clarity might be need to be constitution permission refined due to one important factor (that could also affect the TTIP treaty too). 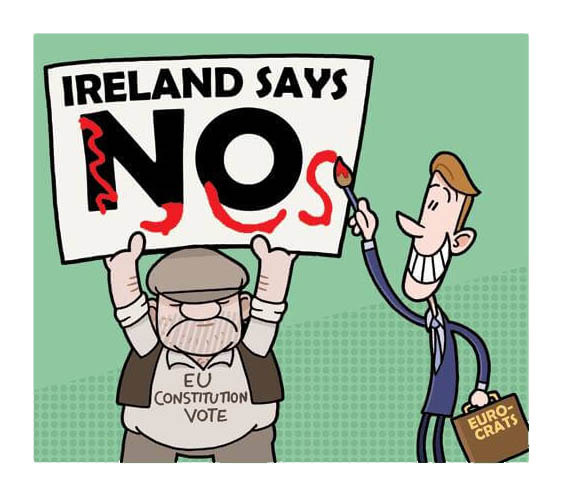 The Irish Supreme Court previously was called upon to adjudicate on how the EU affects its Irish Constitution on several occasions. The result stemming from this was that, in 1987, a “Crotty Case” concluding had a ruling that stated major EU treaties required a referendum in Ireland. If Ireland is to opt in militarily, would this require a change to the Irish constitution to allow this to be legal or would any quiet sections in EU treaties already signed, be overruling of the present Irish constitution, regarding any use of Irish military personnel and civilian people? Questions… Questions… So far still, very few answers and details coming from Dail elected. 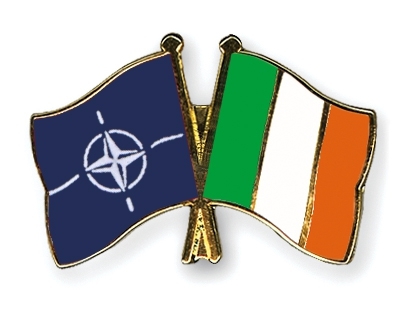 Most Irish citizens either don’t know it or it doesn't enter into their lives any time of any year, but Ireland is signed up to a NATO/Partnership For Peace Agreement (PfP). In PR terms this sounds nice and cosy. In real terms it means that Ireland is also willing to go to war and fight for “peace”. Somewhere in the last sentence there is a touch of irony? Again, Irelands actual supposed neutrality again becomes exposed as just a mere myth that’s just fed to the masses. Ireland signed up to this agreement alone involves being in joint venture to what’s known as Interoperability. This mouthful of a word is very important to NATO and it’s a task they take very serious and expect Ireland to play its part fully in. In other words, at times of war (involving also possible foreign invasions etc), individual nations fight for another country as best each can, front-line or providing background support. Such statements clearly show the real direction that Ireland is being further took – all done through the sneakiness of political parties in government who are not even bothering to tell its nations citizens what elected are doing in their name, what actions and consequences they are signing their nation up to or even explaining why! The same quiet, sly signing up applies to also military agreement’s as under the termed “Common Security and Defence Policy” – in other words, the PR euphemism used for describing the formation of the newer EU army. Amid the waffle above, note the use of the word “Battlegroups” in conjunction with “Interoperability” and the new EU army (CSDP) to boot! Does anyone seriously think Ireland is a neutral country still? Would they be that deluded as Fine Gael, Fianna Fail and Labour, etc. continues to involve supposed ‘neutral’ Ireland in all the above and more? Seriously? Of course the average citizens are not told all of this. In fact, they are told very little of it, at all. There might be the once in a ‘blue moon’ mention of abbreviations and RTE quoting “European cooperation” on security matters – but the information meat on the activity bones are left from the eyes and ears of a nation of people. Heaven forbid they might object after they kop on what’s really further going on and how deep is their nation involved via their elected? “…Continue our positive engagement with NATO/PfP …in order to enhance Defence Forces interoperability in multi-national operations and contribute to the development of military capabilities in accordance with international standards”. Amazingly, older established parties of Ireland still PR spin about Ireland's neutrality still supposedly alive, it being a core value of Irish foreign policy! There was a NATO/PfP meeting on July 8th/9th, 2016 in Warsaw, Poland which was attended by Fine Gaels Paul Kehoe. By coincidence (or not?) it was at the same place and time as a NATO summit was also occurring. Details of what the further outcome for Ireland from either has not been disclosed to the public and little or no details has even been passed onto the Dail! The Irish citizens are once again left in the dark. The public however is once again expected to tax cough up for all this military cooperation and arms spending. They are just not being told why, where and how often where part of their ‘neutral’ money goes! Ireland is neutral. No, Ireland WAS neutral? UnitedPeople has reported previously in good detail - names, dates, places, etc - how its neutrality once imagined as real, has been further uncovered as a political false farce sold to a nation of people. 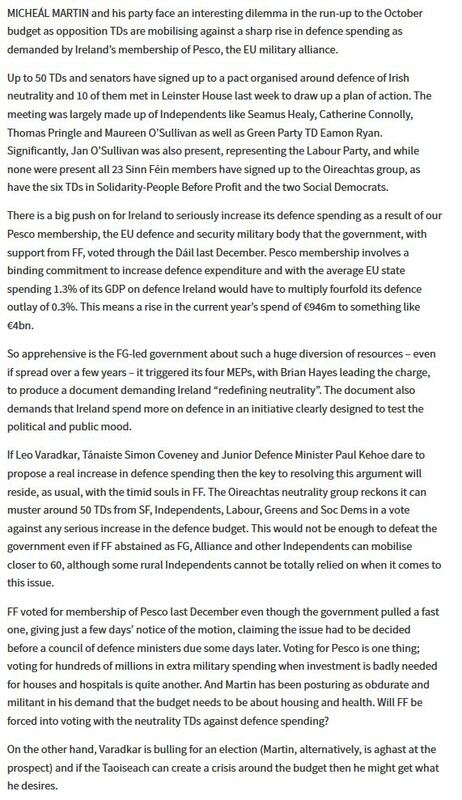 On the UnitedPeople(.ie) website under an exclusive revealing side section entitled "EU Army & Ireland" (link below), many details can be found how Fine Gael - but not just them alone - have given our nations 'independent' status away yet again. Not only have they done this in conjunction with others of Ireland's political parties, they have ultra-quiet sneaked in more state financial costing bills to cover for doing it. They do this without telling one voter in the country that they are doing it! Democratic? Who are we kidding! 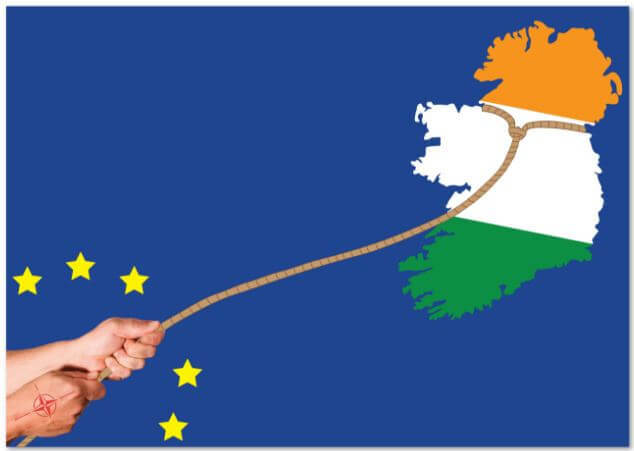 Ireland's once imagined neutrality has been weakened by consecutive give-away clauses in EU treaties bullied upon Irish citizens till EU semi-dictators got their way. The Defence Forces association with European increasing militarisation rolls onward, again quietly - and again without any discussion whatsoever in the Dail or vote taken to make it all even public supported! Under previous Fine Gael and Labour government - now under Fine Gael, Endapendents and Fianna Fail propping them up, the undemocratic farce continues. If there was any public consultation (there wasn't any allowed) or if there was any Dail debate (there wasn't any allowed) on the issue - even if there was any public announcements (there wasn't any allowed) on the government 2015 "White Paper" on Defence, it might have been exposed that the FG government had further plans to integrate our defence strategy with NATO and now, the new EU army plans. All this however has been kept ultra-hushed up! The public is not supposed to know. UnitedPeople however has done its research and previously public exposed many facts Fine Gael and Co would rather keep hidden from Ireland voters. The 2015 "White Paper" on Defence (link) exposes an increased cooperation between NATO (75% backed by US money), the EU Common Security and Defence Policy (CSDP) - along with harmonisation with Defence Forces equipment that NATO and an EU army will use. Yes, Ireland is to use the exact same military equipment through joint planning already under way. Does anyone seriously think Ireland is now or ever was, a neutral country? If so, it's time to wake up from that once nice dream? The increased military spending that Ireland is going to costly burn through to gain harmonisation, will have the European Defence Agency at the helm to do the central buying. Because of the latest upped military spending for the coming EU army, Ireland by its participation, has actually become a bigger player in the world arms business, even more than previously! Page 116 of the 2015 "White Paper" on Defence states the Government are putting in place new defence review arrangements to elevate discussion and debate in a way which ensures that, notwithstanding other pressing demands for resourcing, investment in defence is given the appropriate consideration which its place in public policy (and in addressing relevant risks) demands." NOW RE-READ THE ABOVE... Concentrate on "..arrangements to elevate discussion..."
What discussion? Was there any discussion with the public before FG and Co signed the state away already? When? Even an TV public panel debate? No! Radio public debate? No! WHAT DISCUSSIONS? Like previous - you're not getting any citizen vote on the matter either. Fine Gael are just churning ahead regardless of whatever the hell you think - and other parties/individuals propping them up are conveniently silent! Is it all true democratic? Who are we kidding! Who are Fine Gael running rings around here? Obviously the public. It's looking again that way! RTÉ and others via Section 31 of the Broadcasting Act, has in fact created a veil of state secrecy over the whole issue. What also has been quietly buried conveniently by that act is the more revealing financial details like Ireland defence budget has been from approx €1,000,000,000 (that's BILLION) to nearly €2,000,000,000 in the last eight years alone - and this is before Ireland further enters into the word arms race care of the European Defence Agency! Fine Gael (and by extension, those that stand by them or prop them up) and its plans to further shove Ireland into steps for greater military expansion and the arms business, is quite simply further alarming. We say "further" as the items we have previously revealed are already shocking! There is now further five year period of military expansion, involving greater spending to come. As EU heads churn forward with greater costly plans - all affecting Ireland's neutrality (who are we kidding here? ), it will all happen without public discussion, again little or no Dail or Seanad discussion - and sure as hell, there will be no democratic vote allowed on the matter. That's today's Ireland under Fine Gael and those that have stood by and prop them up! No wonder the citizens support them less? NOTE: Credit goes big time to The Phoenix magazine (LINK) in Ireland who also alone, has been battling to highlight this ongoing issue. We recommend you buy The Phoenix Magazine - see HERE. It tells you what bad elected don't want you to know! The full truth. Mr Fallon is on record as stating Britain would resist the military proposals that are backed and being massive pushed by France and Germany upon other states. Mr Fallon previously stated “any attempt to set up a rival to NATO . . . is not going to happen”. EU leaders, excluding Britain - but INCLUDING IRELAND - earlier this month reiterated its agenda to include “common battle groups to carry out military intervention”, a “single operational headquarters” and EU-owned assets such as drones, military aircraft and naval vessels. All of this is further entering Ireland not only into an EU army by clever PR spinning word play in policy documents on record but is also allowing Ireland to more enter into a greater world arms race, as it too is amassing the same weapons as others involved in the new EU army. Fine Gael and other parties in Ireland have played along in open agreement or complicity through non-protest and public silence, to see the state join this new EU army. Fine Gael in particular are continuing the PR farce, espousing that Ireland remains officially neutral - all the while going along with every contingency of the EU army direction of combined forces, militarisation and same spending on weapons. Just as farcical is the mass media silence of over the whole undemocratic, massively costly direction Ireland is further heading in. While other European media outlets are trying their best to highlight more of what's being quietly going on behind the backs of 500+ million European people, the vast majority of Ireland media has been total silent on the matter. Have they been silenced one way or other? They are not telling but the massive media blackout on the topic could be telling? Along with UnitedPeople, one media outlet is also continuing to try get word to the Irish nation about what is going on. The Phoenix Magazine has been reporting on this growing issue also. It's hoped the Phoenix manages to continue to do this before they too might be 'requested' into silence. Their continuing efforts are to be applauded. 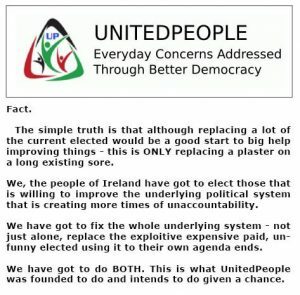 The UnitedPeople website and its Facebook page already has posted previous detailed information surrounding this extremely serious matter to which no Ireland citizen has gained any vote on, at any stage! UnitedPeople will continue to report on this matter as and when further updates are available - and before it too might be tried silenced! Footnote: In 2014,, part of the Fine Gael government, Simon Coveney TD attended that years now infamous Bilderberg meeting. (news report HERE). The list of military top brass (see HERE) (including Breedlove, Philip M. Supreme Allied Commander Europe) also attending is an indication of what also was to be quiet discussed by an unelected group. Their possible agenda advanced at this secret, no minutes released, meeting still also remains classified. EU Army Plans Further Progress. 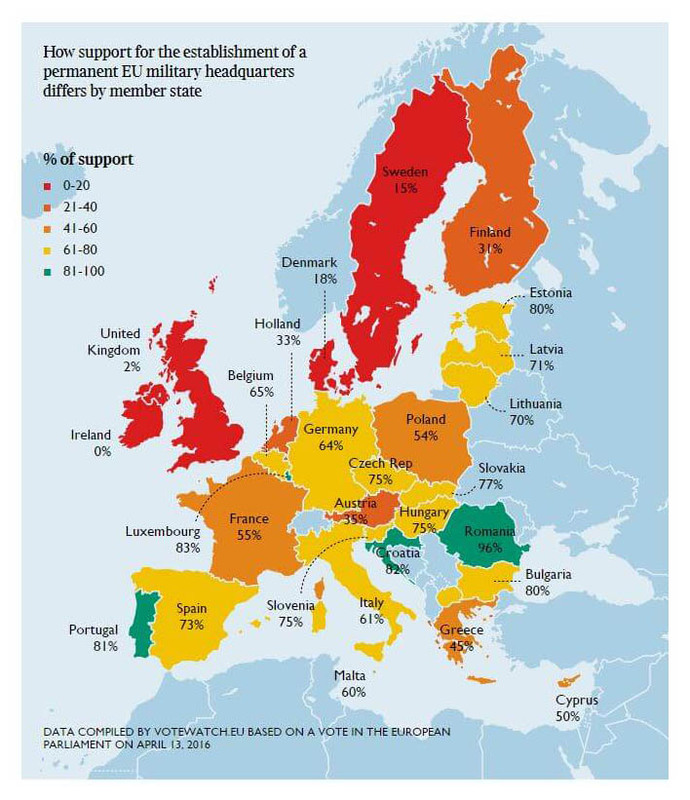 VoteWatch Europe, a non-governmental organisation that monitors the votes of European politicians, has come out with their professional analysis and stated that Ireland is unlikely to be able to resist a renewed drive from Brussels for greater EU military co-operation. Ireland currently has a massive national issue that is not being Dail, Senate or media discussed at all. RTE and other media favouring long established parties, is keeping the public uninformed as to what’s currently progressing. UnitedPeople however, is continuing to monitor the ongoing issue. In his latest speech in the European parliament on the matter, he again reiterated his ongoing desire for a new EU military headquarters. They say this in spite of the overwhelming evidence of names, dates and places exposed by UnitedPeople and the Irish magazine, The Phoenix (LINK), which further exposes that they are (a) completely lying or (b) completely stupid. 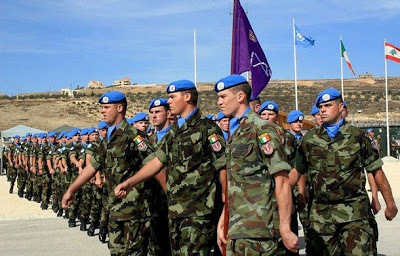 European army battalions, have already been joining up to create the EU army and increased military spending plans that also includes an Irish military increased budget, is also under way as Ireland co-joins a new arms race. The uncovered evidence being kept from a majority of Ireland’s public, appears to bear this all out. Now that the UK is out of the EU organisation picture due to their wish to leave the European political monster, with them going along with their once powerful voting position, the EU army creation process could soon see a further official progressing vote, carried out. 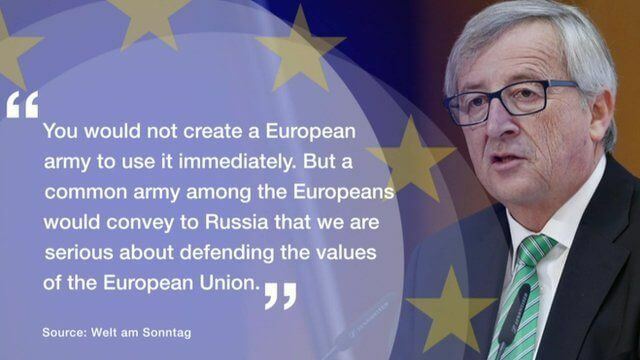 The UK exiting of the EU creates a “qualified majority”, that will allow Jean-Claude Juncker to see his long wish for a European Army, to become all too further real. However, beyond the PR spinning of a government either in denial or trying again to ‘pull a fast one‘ on the few public aware of the matter, the European reality is that the EU Army is tank and troop marching ahead and through “Interoperability” (a political used phrase to avoid saying “joining up” – like “Rendition” is to “unwarranted kidnapping”), is part and parcel of the forthcoming new EU army. Despite what the Department of Foreign Affairs says, the actual evidence of Ireland joining a new arms race (detailed previously by UnitedPeople) and agreeing to participate in joint militarisation operations, exposes again what governments can state in PR, is not necessarily the actual full truth! In fact, maybe the complete opposite? …Meanwhile, a great bulk of Irish media continues its blackout on the whole ongoing matter. A nation of people are vast majority, being kept in the dark. What the Fine Gael government is also not telling you (they are not telling you a lot of things) is that for 2018, the party has budgeted €946,000,000 (Million) for new arms spending to that it can be part of the new EU army that it says “…it won’t be a part of and that Ireland is still neutral”. Two years later, that arms spending will rise to €3,000,000,000 (Billion) by 2020. The European Defence Agency who is buying all the weaponry for our soldiers – including many living on the breadline and social welfare assistance – is demanding that Ireland pay its contribution for a new arms race is has already embarked upon. 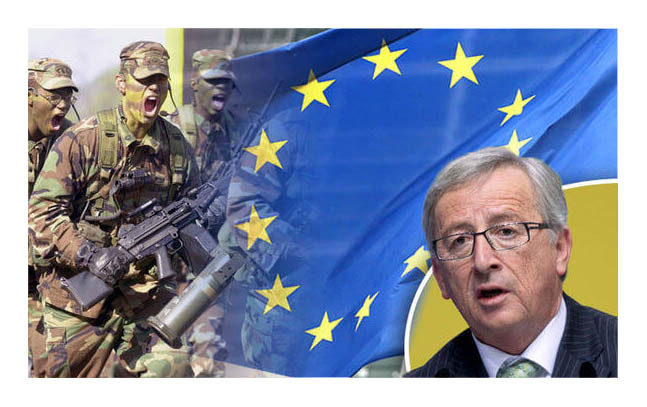 UnitedPeople has been reporting on this matter for some time how Ireland is already part of the new EU army – despite what Fine Gael and others are telling you when they say it isn’t! 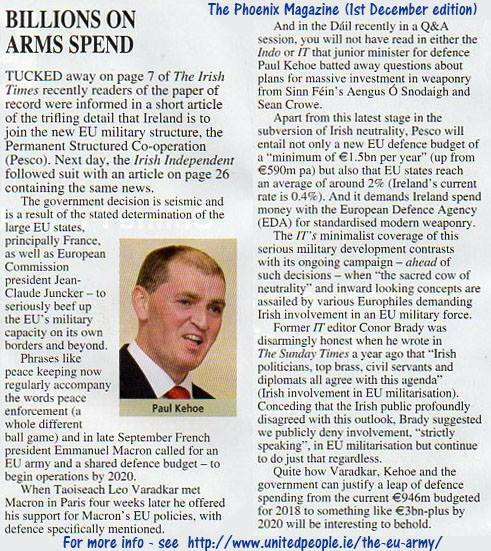 Ireland is to be buried deep in the EU army under a nondescript title called Pesco (Permanent Structured Cooperation) agreement. Were you government informed or permitted a vote on this by the way? Leo Varadkar, Simon Coveney, and even one Mr Kehoe along with TD’s such as Fergus O’Dowd and more, are not telling the people of Ireland any of this at national or local level. “SHUSH… Mums the word.” You’re not supposed to know!